Gregory Packs has a rich heritage that begins with a young man by the name of Wayne Gregory and his first backpack designed as part of a project for the Boy Scouts. From an early age and throughout his life, Wayne Gregory has held a meticulous interest in his designs and materials used in making his backpack - making concepts into a functional reality. In 1970 Wayne Gregory funneled those innovations into his first company called Sunbird. 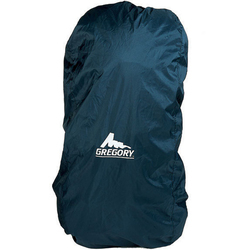 It wasn't until the ever-growing outdoor specialty industry emerged that the always-intrigued individual founded Gregory Mountain Products in 1977. Ever since, Gregory Packs has continuously proven itself to be a pioneer in outdoor pack designs. And In doing so has accompanied individuals to the far corners of the Earth, along the already formed trails and beyond. In listening to the demands of the trail, Gregory Packs has created a variety of backpacks to suit what every individual trail has to offer in its challenge and terrain. From the mountaineering line to the back-country series, light hike or trail running emphasis - Gregory Packs maintains a variety of designs geared towards taking as much stress off your travels as possible because well, the journey is half the adventure and something worth enjoying. In doing just that, Gregory Packs cater to a variety of distinct specifications depending on your needs, fit, destination, and activity. More so, Gregory Packs utilize a variety of different technical enhancements like that of the Women's Specific Fit, 5-Point Angle Waistbelt, or the Wraptor Stabilizer - you can be sure that any Gregory Pack will get you to where you're going with all your necessities comfortably secured. With the Trail Smart Packing System providing for three different packing zones that distribute your dense end-of-the-day gear in one zone while allowing quick access to those on-the-go essentials in another to keep you pressing forward into the great beyond. With the Gregory Baltoro 75, for example, the world is your oyster, giving you the ability to carry 75 liters worth of necessities while hiking in even more comfort than its award-winning predecessor with improved Response AFS Suspension. And for the constant traveler or backpacker, the Gregory Baltoro 75 gives you the ability to keep moving forward into the unknowns with a kind of dependability all Gregory products embody. Whether you are in need of the Women's Cairn 48 Backpack to get you through a week-long exploration in the Escalante Wilderness or are just out for a full-day's journey with the Fury 16 pack in The Gorge, Gregory Packs has the right gear for any adventure you endeavor upon. More so and perhaps most unique to the Gregory Packs brand is the Get Fit program that helps the male or female adventurer find the right pack with the right fit for the right occasion. In addressing the individual fit and needs of the adventurer, Gregory Packs gives you the power of comfort, ease-of-use, protection and versatility to get you on your way — beyond the horizon and back again.